Everyone's on social media these days. However, some of us take it more seriously than others. And some of us have to take it seriously, because our professional success relies heavily on staying connected. Then there are people who are on their accounts all the time, even when they're trying to do other things, like hang out with actual people. But are you one of those people whose obsessed with social media? How would you even know? When you're not online, do you wish you were? Do you wonder what you're missing, hope that people aren't doing anything fun without you, or just feel anxious when you can't be on social media for a while? This anxiety can be a sign that you need to take a break. You should feel more anxious about missing your real life than you do about your online one. Separating from social media for a period of time can help you realize that the world doesn't end when you're not liking posts and battling trolls. Is your phone always in your hand or nearby, even when you're supposed to be working or having a real-life conversation? If you can't stop checking social media, it's time to put the phone down and walk away. Your online social life doesn't have to interfere with your real one. Delete some of the apps off your phone until they lose their hold over you. When you're out with friends or family, do you find yourself making excuses for checking your social accounts? Maybe you tell them that it's for work, or you go to the bathroom with your phone just so you can check your notifications. 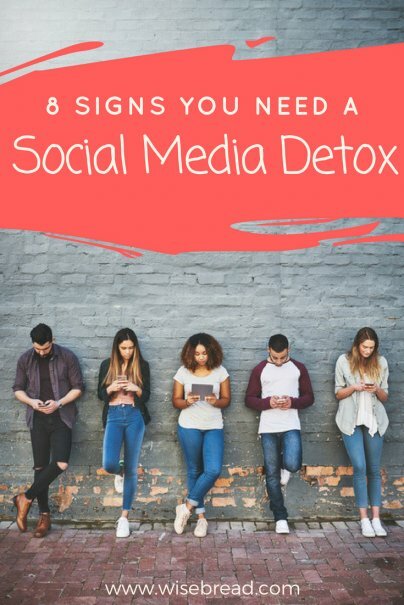 If social media has such a strong pull on your life that your loved ones are calling you out and you're making excuses to stay connected, then it's high time to disconnect.